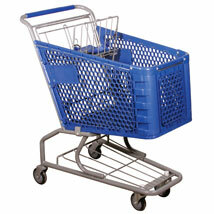 Tough high density polyethylene shopping carts will not rust and are lighter and easier to maneuver than metal carts. Features triple ribbed reinforced basket rim, baby seat and with restraining strap. Easy to clean and maintain. Also great for personal, apartment and condo use. 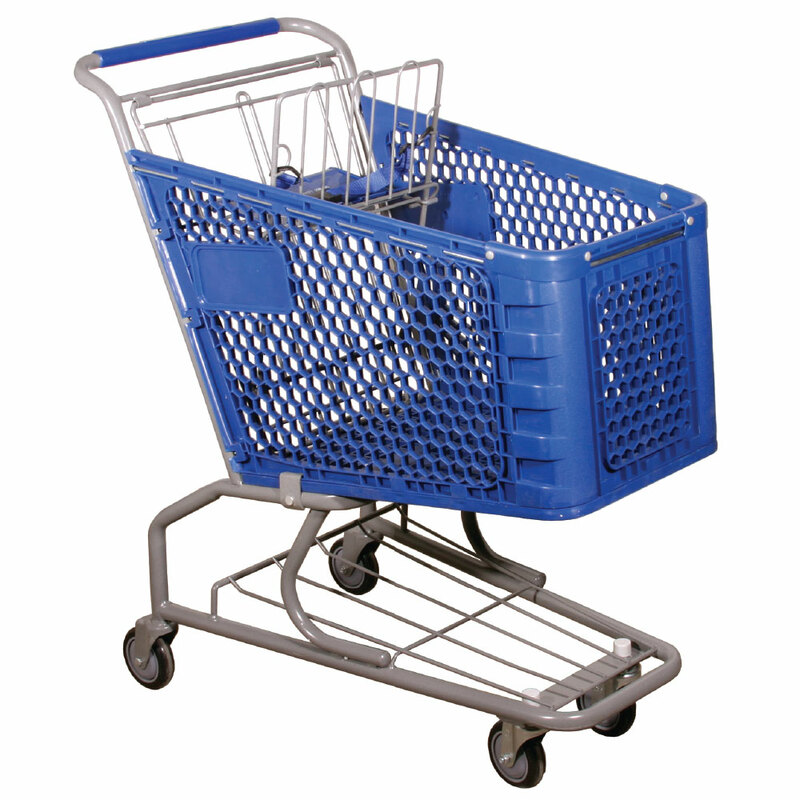 Cart weighs approximately 32 pounds. There`s no minimum order quantity, however shipping is per pallet basic, we recommended to buy in multiples to save on freight.